Veterinarians across the nation collectively treat thousands of rattlesnake bites each year. Because domestic dogs are not born with the understanding that rattlesnakes are dangerous, when they encounter one in the wild or within their yard they are more than happy to investigate it. Rarely does a dog encounter a rattlesnake and simply leave it alone. Most willingly attempt to sniff it which then leads to either playing with it or attacking it. Either way, burying their nose right into the business end of the rattlesnake is going to end up bad for the dog. The terrified snake, which is a fraction of the dog’s size, is then likely to strike and inject its venom. Rattlesnakes harbor potent venom that contain a varying mixture of protiens and enzymes with hemotoxic and sometimes neurotoxic properties. They are designed to take down small prey animals within seconds of striking, as well as begin the digestive process early. At the injection site these compounds take immediate effect within the surrounding tissue and bloodstream. Even for very large animals, just a few drops of snake venom can have a devestating systemic effect that may end up being lethal. For a dog, the effects are no different. In addition to the stinging punctures of both fangs, the venom spreads quickly through the bloodstream. As the dog’s immune system begins to fight it, the lymphatic system kicks into overdrive and the site of the bite swells dramatically. 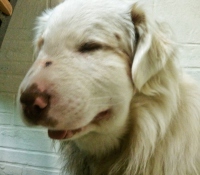 If they were bitten near the face, within minutes the dog’s face can swell to twice its normal size. See the picture of "Brody" (top left), "Kora" (top right), and "Cospiere" (bottom). Also, you can search google images for “dog rattlesnake bite” to see what we mean! All of the above photos were contributed by clients who learned of our services after their dog suffered a snakebite. With the severe pain and swelling comes the possibility of asphyxiation, and the venom causes lots of necrotic tissue damage (often permanent that will leave internal and/or external scaring) all while being very prone to infection. Not to mention that the entire experience can be completely traumatic for the confused dog who did not and will not necessarily understand what happened. This traumatic pain and confusion puts dog's in such a frenzy that they may even associate the event with their owners or the veterinarians trying to treat them. We've heard countless stories from clients whose dogs were fortunate enough to survive a snake bite. Some bounced back without issues, while others were described as never being the same dog again. 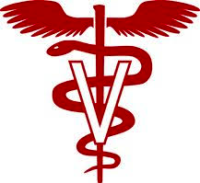 So many factors come into play regarding the treatment for snakebite at a veterinary hospital. Factors include the size and health of the dog, location of the bite, how much venom was actually injected, type of rattlesnake responsible, how the individual dog is responding, how much time has elapsed since the bite, the best judgement of the veterinarian, your budget, etc. More than likely, the dog is going to require rattlesnake antivenom (aka "antivenin"). This is a serum derived from other animals (typically a horse) that have undergone mithridatism, which is essentially a series of non-lethal venom injections in gradually increased amounts over time. After a certain period, the immune system of these animals have more or less been taught to cope with venom to the point of having a high concentration of venom antibodies. These venom antibodies can then be filtered out and isolated to then be injected into a dog to neutralize the venom. It works, but at a price, and at times can be a bit rough on the recipient since they are being injected with foreign proteins. Just one vial of antivenom for pets can cost around $600, and most dogs require more than one vial. Consider everything this emergency entails now... administration of this antivenin (1-6+ full vials), the emergency visit, pain medications, fluids, antibiotics, blood tests, overnight stay, etc - now you can see why the vet bills add up so quickly! And it’s certainly not the vet office trying to rip you off. As you may have guessed, the antivenom costs a lot of money because of the complicated process to make it. Additionally, it is fragile and has a shelf life. This is why the average vet bill for a rattlesnake bite is around $1,000-$3,000 or more. It is not at all uncommon for the bill to reach several thousand dollars either. This is a lot of money for a surprise accident, and there's still no guarantee that your dog will make it after all that. The good news is that there is a way cheaper, much less traumatic option - a training designed to prevent this event from occurring in the first place. Most rattlesnake bites are totally preventable. After all, snakes don’t want to bite a dog and waste their venom. It’s a good thing that they have a noisy rattle. They seem to prefer to give a warning first and then strike as a last resort when necessary. Most dogs get bit not because of stepping on one accidentally (though this is possible). 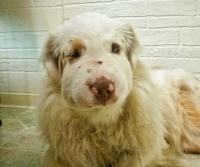 Instead, the majority of bites come from a dog that stumbled upon a snake while exploring and showed interest. After all, aren't they always looking for something new, small, and exciting when outside? Don’t let your dog’s innocence make them a victim, teach them to stay away from rattlesnakes through rattlesnake aversion training. 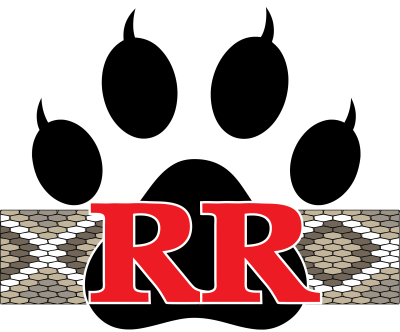 You can click here to learn more about the rattlesnake avoidance training from Rattlesnake Ready, LLC. You may want to consider additional options too, such as sealing off your yard with snake fencing. This fencing will also keep out Sonoran toads. 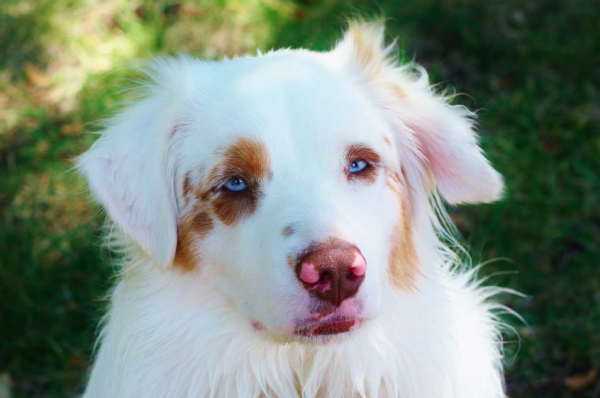 "Cospiere" is an Australian shepherd. Here is a photo of him in his normal, healthy state. This is the same Aussie in the bottom two snakebite photos above. The Sonoran desert toad (also known as the Colorado river toad) is north America’s largest native toad species found exclusively in the southwest. They can grow up to almost eight inches long and weigh as much as a pound. They primarily feed on small insects such as crickets and darkling beetles, but due to their size they can also eat much larger prey including tarantulas and small vertebrates. The toads tend to live near water sources and though they can be found active from May-October, most of their activity parallels rainfall. During the Arizona monsoon (early July through mid September) the toads reproduce in available pools of water and feed ferociously on anything available. It is typically during this time of peak activity that the toads end up in backyards across the valley, which is where they cross paths with pets. A Sonoran Desert Toad - showing the location of the paratoid glands where poison is produced and excreted. 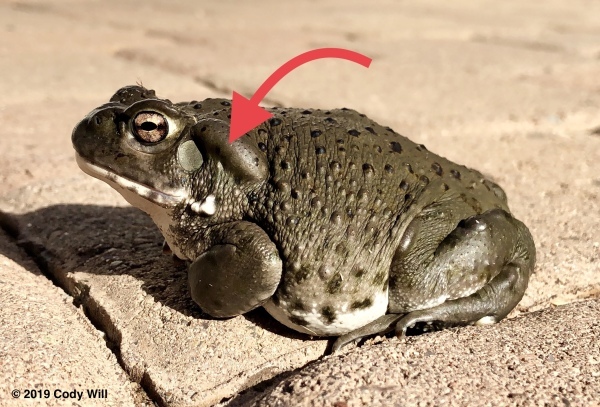 These toads are easy to identify by their large size, large paratoid glands, protruding white wart(s) on the cheeks, and their overall olive-green coloration. These are the only potentially lethal toad to a dog in Arizona. You can click here for a full list of Arizona's amphibians to compare. What makes these toads a threat is their ability to secrete toxins including bufotoxin and bufotenins from their paratoid glands located around the upper shoulder area (behind the eyes). Though the poison isn’t absorbed through skin, it is easily absorbed through moist tissue such as the inner lining of a dog’s mouth and possibly their nose. The poison produced by these toads is their defense mechanism and is designed to stop them from becoming a meal to other predators. This is important for them because they are a relatively easy target, being a large, soft animal that is often sitting in plain site without a care in the world. Wild predators have either learned a way to get around the poison, or have learned to simply pass the toads up as a potential meal. Domestic dogs, however, often just want to play with them. The poison produced by the toads can be lethal to a dog. 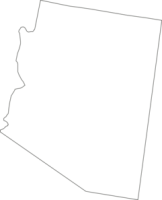 In fact, more dogs are killed each year in the Phoenix area by these toads than from rattlesnake bite! (Seems off, right? See Q#28 of our FAQ section) When a dog encounters the toad, they often sniff it or try to grab it. In either case, this puts the poison glands in direct, deliverable contact with the dog. Once absorbed, a progression of side effects begin to take place. Often the dog will clearly be in pain and drool excessively within seconds of contact, followed by dilated pupils and hallucinations which can quickly throw them into panic and elevate their heart rate. If the toxin is not promptly flushed out, these symptoms advance into seizures, paralysis, and eventually; death. The above screenshot is from the animal poison control center website, and lists the common signs of toad poisoning in dogs. They are available to take calls 24/7 at (855) 764-7661. There is a fee for their services. 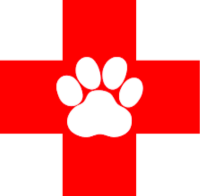 You can visit their website at: www.petpoisonhelpline.com. Unlike a rattlesnake bite that requires an immediate trip to the vet, toad-poisoning in dogs is even more time sensitive and requires immediate treatment on site. This is beacuse it is likely for a dog to die in the car before reaching the animal hospital. Fortunately, the poisoning can be treated relatively simply by a ready person with access to running water. If a dog is ever caught in the act of harassing a Sonoran toad or suddenly begins to show these symptoms, an aggressive flush of the entire mouth area with water is typically enough to rinse away the poison and stop its toxic effect. If much time has passed and the dog is left untreated though, or if they ingested the toad/poison, then they will require additional veterinary treatment and their chances of survival are very low. One more time; after contact with a Sonoran toad, pet owners must perform an immediate, thorough flushing of the mouth with water followed by a trip to the emergency vet. Use high enough pressure (i.e. from an open-ended garden hose) to thoroughly rinse out the dog's mouth starting from a back, inner cheek location, pointing the nozzle in any direction away from the throat, and working the stream toward the front of their mouth. This should be done while simultaneously using fingers to wipe the surfaces of the inner mouth/tongue to further remove any slime present where the poison is likely located. Over the years training dogs to avoid rattlesnakes, we were asked countless times by clients to consider putting together a toad avoidance training program. Initially, we were uninterested and preferred to stick to our specialty of rattlesnakes. However, seeing that this service is practically non-existent despite the need, and after many more sincere requests by clients, we decided to take the plunge. Using our avoidance training expertise from years of snake training thousands of dogs combined with our knowledge of reptiles/amphibians, we carefully put together on paper an avoidance training adapted to the toad problem, and acquired a couple young Sonoran desert toads. Though they also deserve utmost respect, fortunately for us they are much easier to work with compared to rattlesnakes (they can be handled as their toxin is not absorbed into skin - we just need to be sure to wash our hands afterwards!) If you are interested in getting your dog trained to avoid the Sonoran desert toad, contact us today to get them scheduled when available. You can learn more about the training here.